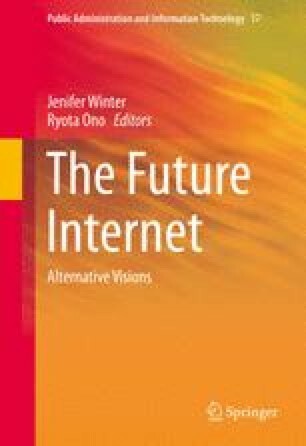 Using an article written over 15 years ago on exclusion and inclusion in the information era as backdrop, the authors explore power and the futures of the Internet. Four scenarios are offered. First is the Leap-frog or Bypass. In this future, the poorer nations of today, by being less invested in today’s technology, jump over the wealthier nations. They lead in creating novel Internet futures. In the second scenario, Cycles of Violence and Surveillance, the main driver is perceived injustice and the ability to use violence and spectacle to challenge this injustice. Whether through the Internet or the emerging 3D printing technologies or drones, the weak are able to inflict violence on the strong. Third is the Gaia of Civilizations, where the growth of the Internet—speech, access, dispersion—is built upon the fabric of ethical civilization rules. The main driver for this idealistic scenario is the development of a new demographic group—the Cultural Creatives. Last, the Great Disruption, the exact development of the Internet cannot really be predicted in the sense that disruption is built into the net. The main driver in this scenario is technology itself. In this future, we are not at the end of the Internet revolution but merely at its beginning. The future of the Internet is thus multiple. Indeed, most likely all aspects of these scenarios will occur, as well as futures beyond our current imagination.